Low in calories. This product is GMO free. This product is gluten free. This product is allergen free. This product is suitable for vegetarians/vegans. 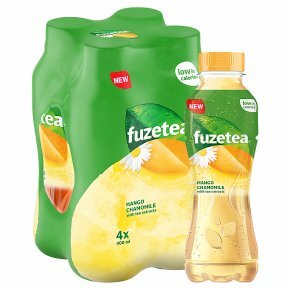 An unexpected fusion of mango juice with a flowery hint of chamomile and green tea extracts. Low in calories and made from quality-blended ingredients, it's never been so delicious to serve yourself a little me-time. Sustainably Sourced Tea ?our quality tea extracts come from specially selected farms independently certified to be helping the economic development of local communities.